Ever since the times of Ancient Egypt, the finds made in the Libyan desert attracted people’s attention. Glass-like yellow stones, known as Libyan glass, were used by craftsmen for making ornaments, spear points and knives. Much later scientists came to the conclusion that an unusual breed is the result of the fall of a meteorite or comet, as a result of which the sand melted and froze in the form of transparent fragments. But the desert sand for a long time hid something more interesting. In 1996, scientists found in the south-west of Egypt a unique object, which soon became known as “the most strange stone on the planet.” After a while it became obvious that the find, named “Hypatia” in honor of the first woman scientist, mathematician, astronomer and philosopher of Hypatia Alexandria, has an extraterrestrial origin. 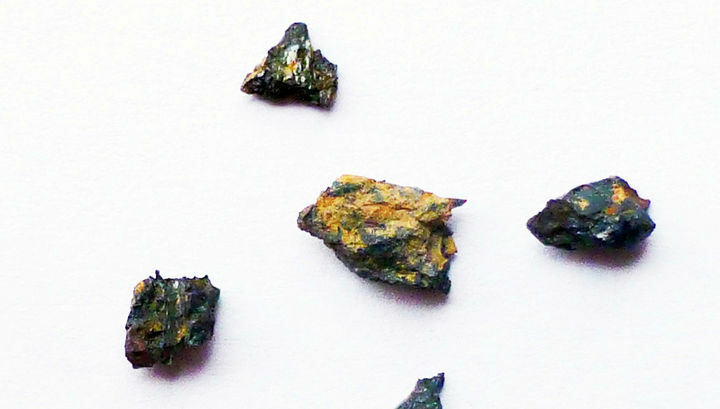 But in 2015 a team of researchers led by experts from South Africa announced that the unusual stone is not similar to any of the known types of meteorites. In his new article, which was published in the edition of Geochimica et Cosmochimica Acta, the same team found in the “Hypatia” micro-mineral compounds, which until now did not occur in the solar system, including meteorites and cometary matter studied earlier. Jan Kramers, the lead author of the study, compares the amazing stone with a pie that fell into flour and fell to pieces. Most of it is a mineral inclusions of extraterrestrial origin, which are similar to berries and nuts inside the dough, and cracks are filled with earth materials, just as flour settles on everything that is in it. Naturally, the main attention of scientists was paid to the meteorite part of “Hypatia”, and it was here that they were waited with a surprise. To begin with, we recall that all meteorites known to science can be divided into three groups: stone, iron and iron-stone. Most stone bodies belong to the so-called chondrites. They formed at the dawn of the solar system from the protoplanetary disk and since then have not been practically changed. In addition, there is a subgroup of rare achondrites, which are fragments of planets and giant asteroids. Even more unusual is the fact that the stone contains a lot of specific carbon compounds, called polyaromatic hydrocarbons. These substances are the main components of interstellar dust, which existed before the formation of the Sun and is sometimes found in comets. However, the greatest surprises were presented by a detailed analysis of tiny mineral grains, made by the co-author of the work, Georgiy Belyanin. They found such a unique component as pure metallic aluminum. On Earth and other planets of our system, aluminum nuggets in insignificant quantities can occur only in very specific conditions, for example, in the vents of volcanoes. In addition, the grains contained silver phosphate and silicon carbide, and again in unexpected forms. 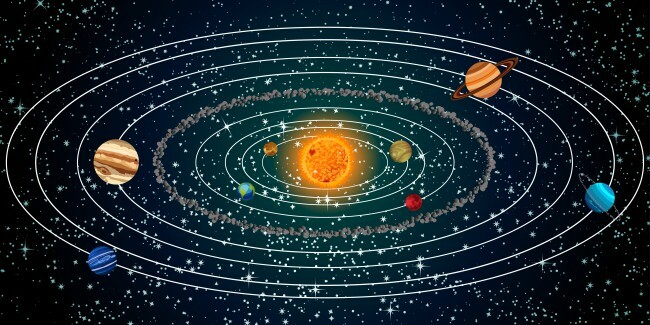 The article contains many other results, from which the authors conclude that, on the one hand, “Hypatia” or, at least, some of its parts were formed before the formation of the solar system. On the other hand, it can also happen that a “strange” stone will require a revision of the existing idea of ​​this event. To date, with relative certainty, researchers can only say that “Hypatia” was formed in an extremely cold environment below -196 degrees Celsius. This means that the homeland of the stone is most likely the Kuiper belt extending beyond the orbit of Neptune or the Oort cloud in the interstellar space. As usual, many years of research on the space object, although they gave a number of answers, but gave rise to even more questions. In the immediate future, the team from Johannesburg is looking for the most accurate address of the origin of the strangest stone on Earth.